Pineview Estates is one of a handful of "tracts" of homes built in big bear with the oldest home going in in the late 1960's and the majority of building being done in the 70's and 80's. 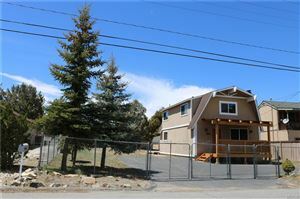 It is considered to be a more exclusive area of Big Bear City, and many of the areas border open space, so many of the houses offer more modern amenities and yet feel more secluded in the mountains. It is a popular area for full time residents as well as second home owners.